Some may consider it a "fashion emergency." 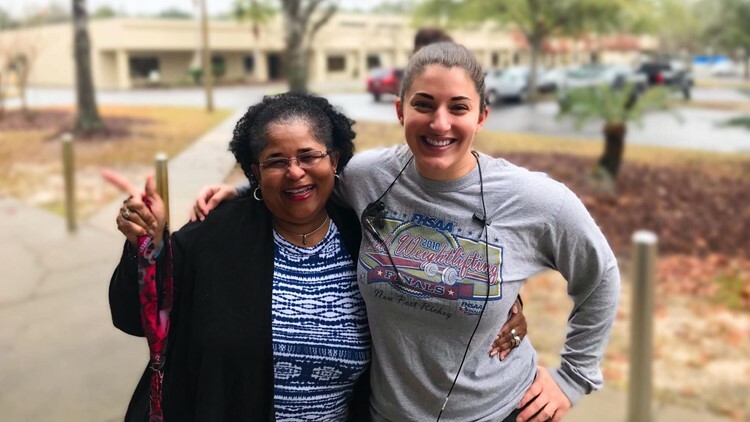 ALACHUA, Fla. — Alachua County Sheriff's Office dispatchers want you to know they'll answer any calls for help. Apparently, that even includes a "fashion emergency." Cyndi Marie says she answered a call for a "super sweet lady" asking for help tying her son's tie. She said he was heading to a wedding. "This was definitely not something we typically get a call for service on...and yes, we made it happen!" Marie wrote in a post on social media. Marie says she asked her coworkers if anyone knew how to tie a tie. She says her "awesome coworker" Hannah Mesh showed up to save the day. "We had an absolute blast, and it was super rewarding to put a smile on her face!" Marie explained. The sheriff's office seems just as happy the call for help was answered, adding in a post that: "We hope the wedding is just as beautiful as these two and their story."